How large is the effect of water vapour on climate? Andreas studied physics and mathematics at the Philipps University of Marburg, Germany from 2000 to 2009. In 2007 he obtained a diploma in mathematics with thesis “Construction of multiwavelets and applications for adaptive numerical methods”, and in 2009 a diploma in physics with thesis title “Spatially resolved Raman and photoluminescence spectroscopy”. From 2010 to 2015 he was PhD student at the Leibniz Institute of Atmospheric Physics (IAP), Kühlungsborn, Germany. The topic of the thesis was “In-situ turbulence observations in the stratospheric wind and temperature field”. Within his PhD, he participated in the Balloon Experiments for University Students (BEXUS) project organised by the German and Swedish space agencies DLR and SNSB, wherein he managed a student team through a condensed space project lifecycle from December 2010 to January 2012, developing an enhanced version of IAP’s turbulence measurement system which finally flew on a large stratospheric balloon. After his PhD he continued working at the IAP for one and a quarter year. 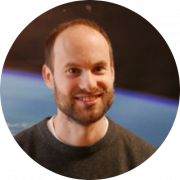 In April 2017 he went to the Netherlands Institute of Space Research (SRON), Utrecht, the Netherlands as postdoctoral researcher, where he started to work on water vapour isotopologue retrievals from short-wave infrared measurements, first from SCIAMACHY and later from TROPOMI. To obtain a new data set of water vapour isotopologue column densities with unprecedented temporal and spatial resolution, from TROPOMI short-wave infrared reflectance measurements. A. Schneider, T. Borsdorff, J. aan de Brugh, H. Hu, and J. Landgraf: A full-mission data set of H2O and HDO columns from SCIAMACHY 2.3μm reflectance measurements. Atmos. Meas. Tech., 11, 3339–3350, https://doi.org/10.5194/amt-11-3339-2018, 2018.